When you have depression, nothing seems new and exciting. Approaching depression through your taste buds may help. Your taste buds are directly connected to your nervous system through what is called the gustatory tract of neurons. These neurons connect directly to the nervous system. Have you ever been asked to taste a new food, only to find out that the new food reminded you of something else you had eaten as a child? Your taste buds ‘transported’ you back to the time when you were eating that similar-tasting food as a youngster. You can use this principle to ‘transport’ yourself back to happier times, when you did not have depression. Think back to what tastes were some of your favorites — these are your foods for depression. Was it vanilla? Cinnamon from cinnamon toast? Gingerbread from your mom’s gingerbread cookies? Or chocolate from your mom’s chocolate chip cookies? Whatever it was, put it in a smoothie! Who says you can’t add chocolate to smoothies? Just because smoothies are usually fruits and vegetables doesn’t mean something like chocolate can’t be added. 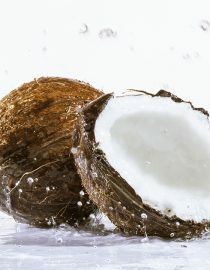 To add chocolate, the key is to use either coconut water or dairy products as your base liquid. Blend all ingredients together. Sip contently! The same is true with the gingerbread seasonings, ginger, nutmeg and cardamom. These would go well mixed in with coconut water, coconut flakes, kiwi, pineapple, mango, and oranges. You could even add a half-cup yogurt to give it a little more body and add more protein (a good idea because protein boosts the level of serotonin in the brain). If you’re adding the gingerbread spices, add ¼ teaspoon of ginger and cardamon, and half the amount of nutmeg. You can always increase it from there. Making smoothies that access your gustatory tract and take you back in time is a very pleasant experience. You’ll forget for a moment your present situation and remember a better time, and maybe even find the strength to motivate yourself again. Try it as part of a healthy diet packed with foods for depression and see what happens. You might also like...Which Type of Therapy Is Best for You?